The Pareto Rule is an awesome tool and can be used in many situations. Here Paul Coles shares his insights with how companies focus on the wrong side of the equation at times. When I left university I joined the British retailing institution that is Marks and Spencer, and of the many things that I learned about business, the most precious of all was that you set your business up for the 99% not the other 1%. This is a big deal for anyone that manages multiple pages across several social media platforms. Up until now, adding content to your client’s Google Plus pages was an large extra step. You couldn’t schedule them, so you had to use your calendar to remind you to update a campaign post. Well that all changes now! 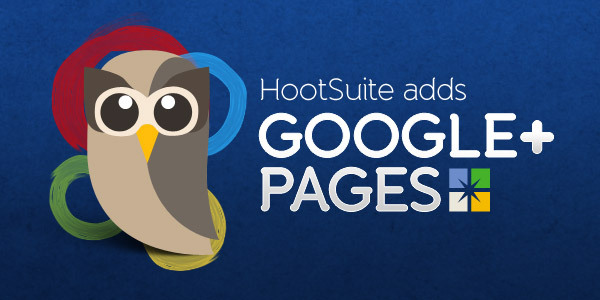 HootSuite is pleased to announce that Google+ Pages is now available to nearly 5 million users worldwide! Whether you’re on a Free, a Pro or an Enterprise plan, you’ll be able to efficiently manage Google+ Pages alongside other social channels, providing brands a better way to capitalize on the social power of this rapidly expanding social network. 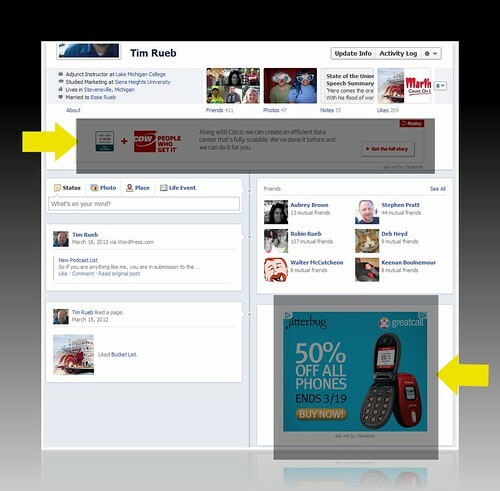 To add Google+ Pages: Access your Profile from the side menu, then select + Add a Social Networkunder My Social Networks. I know the HootSuite Pro account had this already, but it’s a nice add for the smaller companies still using the Free version of the tool. Good Job HootSuite! HootSuite / Hootlet has become one of my favorite tools to manage twitter accounts and my Facebook account and Facebook pages for myself and my clients. I’ve tried many but this web based service seems to have the best of both words and I have come to expect it on all the machines I work on. HootSuite adds more awesome to Hootlet with new features including AutoSchedule – a powerful new link share tool that determines the optimal time to schedule social media messaging. Now you can automatically queue messages throughout the day to maintain a consistent social media presence. via HootSuite Adds More Awesome to Hootlet with AutoSchedule – HootSuite Social Media Management. This Chrome extension is one of the first I add to any machine I work on. It has saved me countless hours. One of the new time savers is Auto-schedule feature. When I’m pushing content to my to biggest twitter accounts try and space it out. So you can imaging when you are pushing 20 updates the time management can get a bit tricky. Now this is taken care of. I have used it today and like it thus far. Now, if I’m managing a campaign for a client, I still manage the schedule manually. I can release the updates to Twitter and Facebook based on the campaign we have designed. This still remains so you don’t lose anything there. Load Balancing – As you put more updates in, they auto-adjust to spread out over time, maybe a range you give them. 9 to 5 or 7 to 7, don’t know. More Automation – Since HootSuite is already watching, they should build in auto-responder capability. That would be awesome. 7 Drip Logic – Have a singe post/update set for distribution X number of times. The logic here is that a message doesn’t really sink in until it’s heard 7 times by the consumer. So what do you think of the tool? What other suggestions would you recommend to HootSuite. Excellent Post Above! I like the image of the speaker stopping to allow live blogging / tweeting. 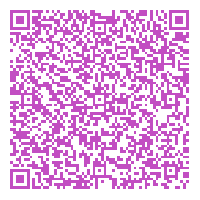 I would go so far as to put up a QR Code which would hold a pithy quote, recommended hashtag, and a link to your hosted content on that specific topic of your presentation (including call to actions) for them to link to from their live-blogging event post. Recently I was coaching a new client on how to create new habbits associated with updating their web sites and other digital properties. To my surprise, this brought out a little push back about not having enough time to do some of the things this small business owner was being requested to do. All I was asking from the client was to put some 30 minute a day items on his Google calendar to remind him to do certain things each day. So this got me to thinking about how to create more time in our day. As I was studying this problem, one of my old coaching sayings popped in my head. 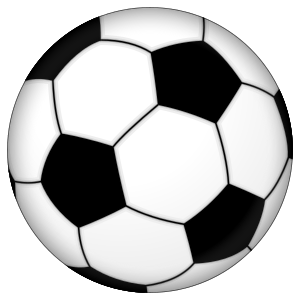 I would explain to the soccer players I coached, the game is “1% Ball – 99% Everything Else”. When we first start out learning we tend to focus on the ball, not the “99% everything else” we should be. The 1% is important, but if that’s all we focus on, then we miss all the rest. Give me a few moments to explain how this works in business as I use this sports analogy. I suggest if you want more time, you need to work on your fundamentals until they take up less time thus freeing up new time to do the more valuable things. Let me explain how. When we are training youth to play soccer we focus on the basics: trapping, passing, and dribbling. These skills are not the most productive, but rather, because we need these to feel natural, almost second nature. What we want to focus on are the advanced topics: Space, Positioning, Movement, Awareness, Placement, Possession, Finishing, and Defending. In any given practice session, the more time we must spend on the basics, the less time we have to spend on the advanced, dare I say, more productive skills. We can easily spot players who have mastered their fundamentals. “Head-on-a Swivel” is a term coaches use when selecting new youth teams each season. If we see a person who has their head up and focusing on the 99% of the game, we know they’ve mastered the 1% (at their level of play). So we train on the fundamentals until they become so natural that we spend less and less time on them and more on the advanced topics I listed above. Each season we expect growth in the advanced areas, and it is very noticeable when a player still challenged with the fundamentals is placed in a game with those that have mastered it. Master your fundamentals. This is what I am recommending you do in your business and private life! Again, I suggest if you want more time, you need to work on your fundamentals until they take up less time thus freeing up new time to do the more valuable things. Since I’m talking about time, let me explain buy using a time management tool you should be using, your calendar. Let’s just imaging a person who spends 75% of their work hours making sure that the remaining 25% of their work hours are fine tuned to perfection. I know this is hyperbole. No sane person would do this. But it brings up a valuable point. The more time we spend on administrative tasks the less time we spend on value added tasks. In this example, if we can improve the administrative process and thus cut the 75% time spent in half, we gain 100% of productive time back. Let’s say this person takes 30 minutes to figure out the best way to deal with a 30 minute meeting request, we would then focus on setting up a system that allows new meeting requests to flow more naturally and not take up as much administrative time to set and approve. In the up-coming posts, we will break this down further for you. In part two we talk about technology and how it can be used to create new time in your schedule. To drop a few names: IFTTT, DropBox, EverNote, G+ Hang-outs. Leave some comments and tell me what you think. The easiest way to sell yourself short is to compare your work to the competition. To say that you are 5% cheaper or have one or two features that stand out–this is a formula for slightly better mediocrity. The goal ought to be to compare yourself not to the best your peers or the competition has managed to get through a committee or down on paper, but to an unattainable, magical unicorn. Compared to that, how are you doing? I do agree with Godin that many companies sell themselves short. Always trying to lower the bar in the hope of gaining a few customers. Where I disagree with Godin on this is that it’s not because of the comparison to competitors, but rather a poor strategy for taking consumers away from those competitors based on the tactics that are short sighted. The tactics you use should be based on the principle that your company is seen as the better choice. There are many areas a consumer could focus to answer this question. It is your job to make the answer self-evident when it come to comparing your company to your competitors. We fight on the battlefield of the consumer’s mind. It’s one of the smallest battlefield you will ever find yourself on, about 6 inches. You should create campaigns that, hopefully, take up territory. And if you do it well, you should hold more ground then your competitors. The strategy is different for each company. It is based on the position of your product in the market place and how our competitors currently stand. We recommend following the “Marketing Warfare” strategies laid out by Ries and Trout. So make sure your strategy fits your goals. Because the last time I checked … your consumers aren’t looking to buy Magical Unicorns … and I’m fairly certain you haven’t hired anyone with unicorn making skills recently. Good Hunting and would love to read your comments on this topic. Here are some key things to remember when thinking about this topic. The saturation level for smart phones is on the rise is all areas of the world. In many parts of the word, people own more smart phones then PC’s in their households. Phone books are becoming museum pieces (and catalogs are not far to follow). I believe there is a big push in the industry to move consumers to tablet computing, making the desktop and laptop less dominant is the purchasing process. Now with all that said, let’s look at the new shifts that are right in front of us. Companies are working hard to get their data in the hands of mobile users. Google consolidation or leveraging of applications and data into the Google+ platform is no different. Right now Google+ is also providing mobile apps to access this information. In my opinion, Google+ has been doing a better job then Facebook in this area. It is yet to be seen if this latest change can be classified as an improvement, but Google’s actions are consistent with their past performance in removing older apps in place of newer ones. For instance, we are seeing similar work being done to fold the Orkut users (still a large user base in Latin American countries) into the Google+ platform so another app could be retired. So what can we learn from this turmoil and churn in the social media and mobile space? Below I have some thoughts for you to consider. They all focus on the fact that life cycle of applications and the data of those applications are extremely volatile and need to treated as such. Let’s face the facts, we are not talking about Yellow Page ads were we talk to a sales rep once a year and then mark in our calendars to review the purchase plan 11 months out. We have to take a Guerrilla Marketing approach to this area of our marketing plans. Be willing to invest in something, and leave it alone and move on if the situation changes. Never holding on to something more then is absolutely necessarily. Always attacking the mind of the consumer where ever it is found, and when gone, move on. There is a reason why we are talking about Facebook and Google+ right now, and not MySpace, AOL, or Prodigy. Stay on top of the trends. Notice where your battle field (the mind of the consumer) is. If the consumer moves to a new area, be aware of the change. Stay on top of your stats. If you start seeing a drop, find out why. Never stop reading about what is happening in the mobile space. Pay attention to the mobile app scene. If this seems to much, then hire someone to do it for you. Find an agency that will keep you in the right place so you can keep attacking the mind of the consumer. Back to the Guerrilla Marketing theme, move into the space quickly. Move out just as quickly. Take over the areas you can master as fast as you can so you reap the rewards of being first, when the benefits begin to lose to the increasing costs, evaluate your position and consider making changes quickly. Are you sensing the quick theme here. So for right now, you should be using both Google Places and Google+ Local (i.e. Pages) to drive people to your business or service. Google is using both in search engine results, and I have evidence they are giving preferential scoring to them. Would love to read your thoughts on this. Please leave a comment. Well this morning I checked my Facebook Timeline to see if my latest social apps are still working. I don’t want to recommend my clients use these features then only to find out that they are not working. So we test … test … test. In this morning’s testing I find I have new intruders, dare I say interlopers, in my Timeline stream. Exhibit One – The Interloping Ads! I know this sounds strange coming from a person who counsels small and medium sized companies on how to use internet advertising to their advantage, but putting things in MY STREAM seems like a violation to me. I fully understand the left or right hand side of the page (depending on which Facebook page you are looking at) will hold their ads. And i want those ads to be relevant, or contextual, to the content that is on that page. Actually, I’m counting on it. I and admire Facebook for allowing me to turn off the setting which shows my name under ads. Even though I may have liked a product, if I’m not getting paid to promote it, why give them that for free. What does bother me is showing ads in my stream. The ads so far have been nothing about me. Nothing about the story i am trying to tell about me. So why does Facebook now think it’s going to make me want to use their product more to continue to build that story? I see Google+ as walking away with a win on this. I think this violation will cause many to search out alternate solutions to telling their story.